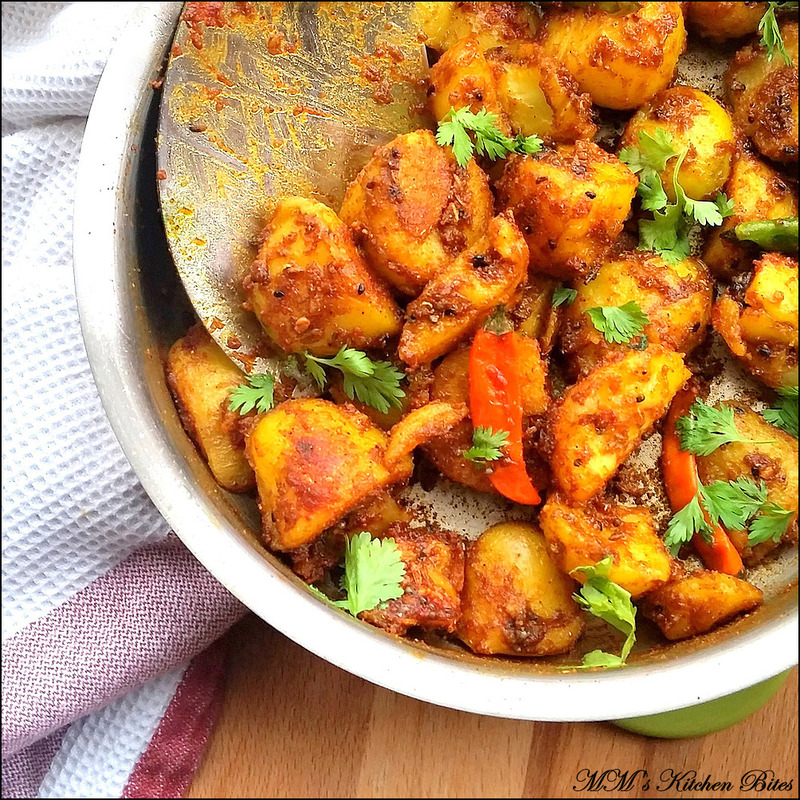 MM's Kitchen Bites: Punjabi Besan Aloo...never say never!! Punjabi Besan Aloo (Gram flour coated potatoes)…from someone who hated almost every kind of aloo with a few exceptions – I could never stand the look, the taste, the smell…to someone who has now added a separate Potato Index in the blog, Boy oh Boy, I sure have come a long long way! They do say never say never…well, now I know! Hmm...who knows maybe one day, I will actually also end up eating the aloo in the samosa as well J ...the recipe below is one of the few exceptions that I have always loved and I promise you, if you try, so will you!